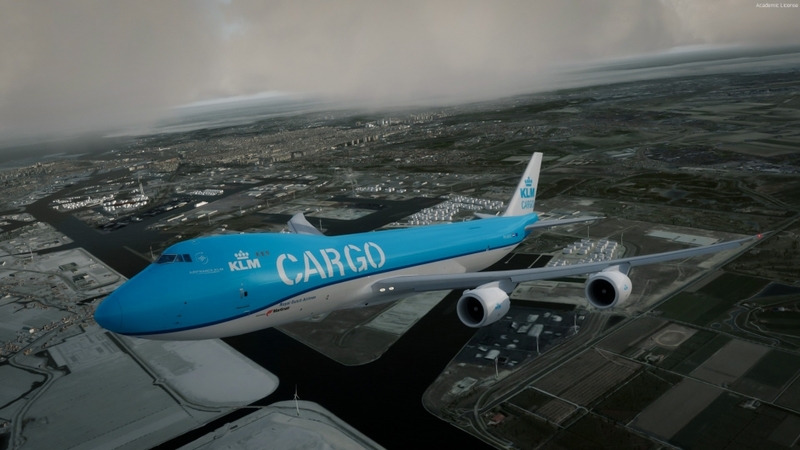 Netherlands by ORBX. The best area scenery in my P3D. By far! And in some places – the worst performer. It is a complicated review. My feelings on photosceneries are mixed. I enjoy flying over those at medium altitudes. I am oblivious to them when flying high (FL350 for example). Their quality, when watched from a low altitude, varies between products, but it is usually unremarkable. TrueEarth Netherlands solves this problem with high-quality photos of uniform colors and perfect autogen. I admire how the building match shapes visible in the background. It makes flying low much more interesting – with no distractions made by odd buildings scattered in random places around the photoscenery (as with some products on the market). In Amsterdam, I noticed that they even replicated complicated building shapes (fly over Amsterdam to check this). I will go back to the subject of autogen later. This is a five-season scenery (spring, summer, autumn, winter, harsh winter) with lighting layer for night flying. These features are rare! We are used to getting single-season photosceneries with no or limited lighting. I often fly in the evenings, sometimes at night, so night scenery counts for me. I am very grateful for this element. The five seasons, however, show the excessive effort of the developer. I have the impression that the ORBX had the same thought afterward – their next sceneries (Great Britain) use a single season (summer) photos plus night lights. I do not care that much about seasonal photosceneries because there are no photos available for each season (if they were available – the cost would be great). This means that the developer uses single season several times changing colors to make Spring (lively), Fall (dull) and Winter (images covered with white – which is the most difficult). I would appreciate winter photoscenery for Norway or Alaska, but in the Netherlands, it makes little sense to make a white photoscenery for this few days when it snows. Apart from the test flight for this review, I never set winter on purpose. Only two of my flights originating from the Netherlands happened to be in winter – both in a 747 and the color of the earth did not matter at all. I am not criticizing the developer just because of my personal disinterest in Winter sceneries. When I write about unnecessary seasons, I mean the disk’s occupancy. 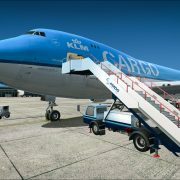 TrueEarth Netherlands requires 76.5 GB, and for proper installation (fortunately this is only temporary) it needs 200 GB – for the installer, extracted scenery, and files added to the simulator. 76.5 GB makes 1.84 GB for every thousand square kilometers. To compare this – recent TrueEarth Great Britain South takes 57 GB (107 thousand square km). That is about 0.5 GB per thousand kilometers. Less than 30% of what TrueEarth NED requires per square km. At current prices of SSD disks (and I recommend SSD with these sceneries), you will add the cost of this product ($54.95 AUD) and $8-20 of disk space costs (the range between a cheap SSD and a high-quality M.2 drive). Also in terms of performance, the scenery ranks in the infamous top of the ranking (ranks first among area sceneries). 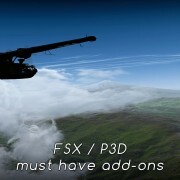 Your experience will depend on the settings of the scenery in P3D, on the weather and on the performance of your PC. On good equipment, frame rates drop in noticeably in areas with a high density of buildings (Amsterdam, Rotterdam). I spent the most time flying over the coast in the country’s north and east – where the scenery performed best. The developer provided a config tool. You can disable selected elements of the scenery for better performance. Still, I did not notice a big difference. I recommend flying planes with steam gauges. Glass cockpits are much heavier. 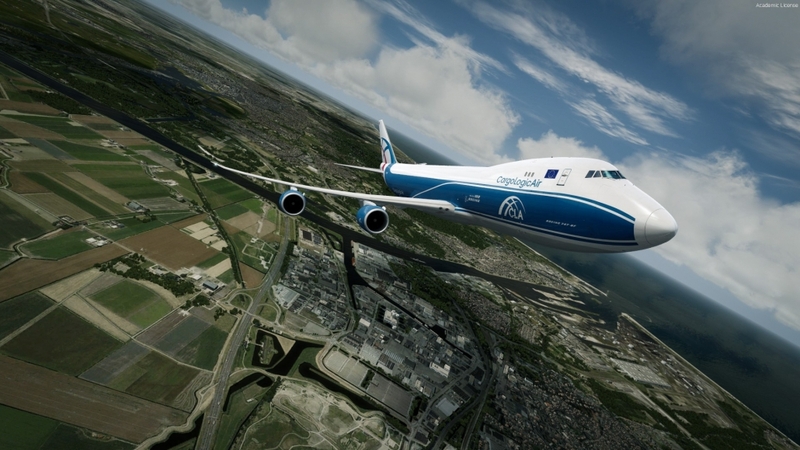 But still – the scenery is usable with PMDG 747 and Amsterdam by FlyTampa. On the other hand – south-eastern parts of Holland perform marvelously. This makes judging performance tricky. Some places are easy to explain – it is obvious why Amsterdam is so heavy with all the buildings packed in the city. But how can performance be so different in Amsterdam and Eindhoven – it is beyond my understanding. 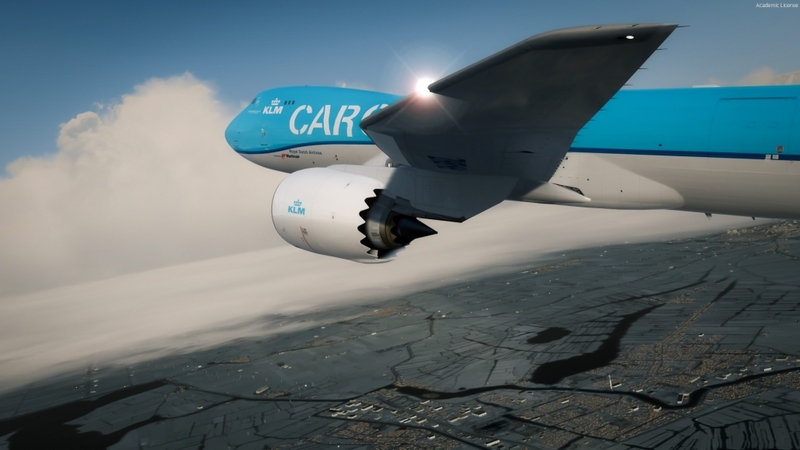 My advice is – for best performance fly around Eindhoven, Arnhem, Groningen and Frisian Islands. What do we pay for (first in dollars and then in performance drop)? 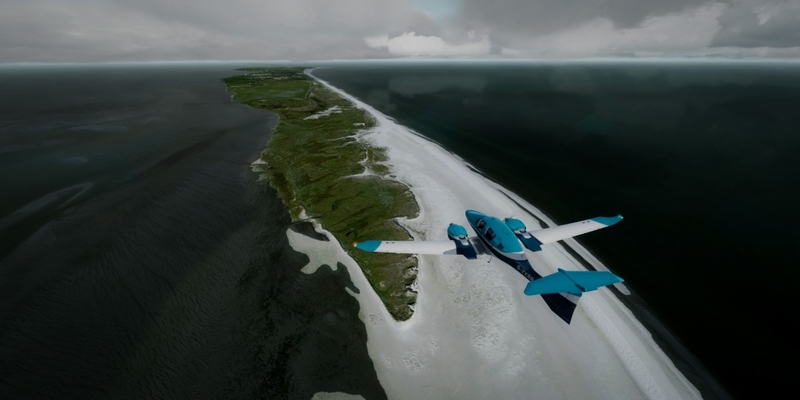 I often flew over the Frisian Islands. They are a good indicator of quality. Coming from Germany (covered by ORBX scenery North Germany) I instantly recognize the place where the Netherlands starts. The photoscenery covers not only the islands but also the seabed at some distance from them, so an unnatural passage between the island‘s vector shapes and the uniform sea disappears when approaching the Netherlands and its TrueEarth scenery. 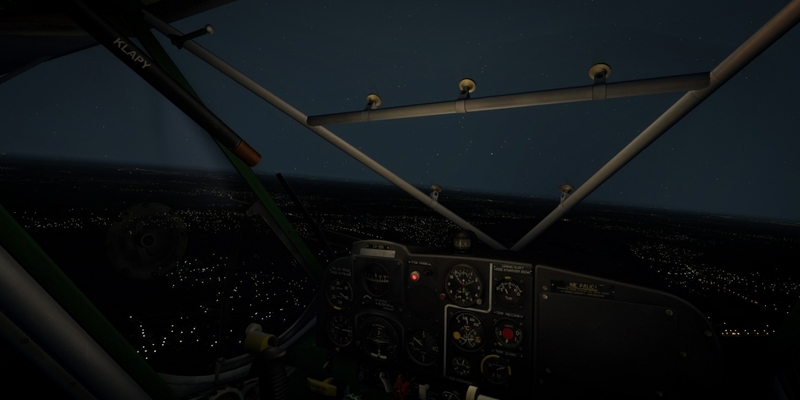 If DCS did not spoil the helicopter pilot in me (I can no longer make myself fly helicopters in P3D after the experience of Huey and Mi-8 in DCS), I would fly over the Netherlands even lower. 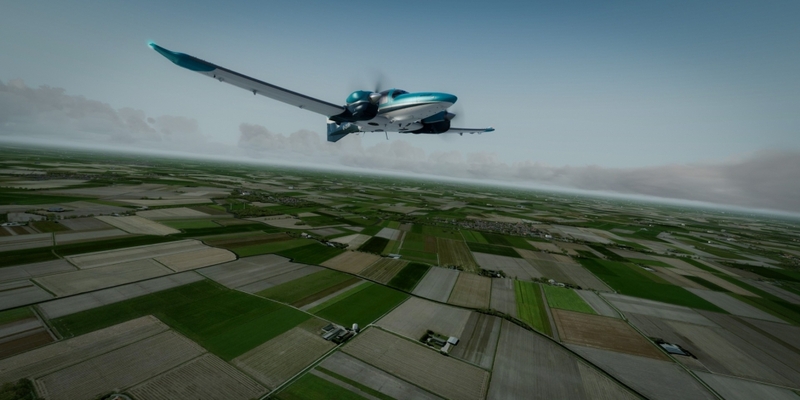 In P3D, instead of helicopters, I choose small planes and watch the world from 1000 feet. The scenery is suitable for flights from 500 feet above the ground, and in built-up areas – at any height (the quality of the buildings covers the blurring of the scenery seen from a close distance). An important aspect of the Netherlands is autogen. 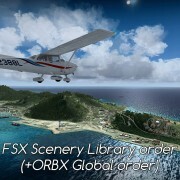 For years, ORBX has accustomed us to ever denser forests and more and more densely and evenly built-up cities. This scenery seems to set a new quality – unparalleled even in great sceneries of Germany. What distinguishes this scenery from previous products of similar design (like a photoscenery of Germany with autogen and characteristic objects published years ago by Aerosoft)? The diligence of autogen placement. There were no shortcuts, no omissions. I’ve also done tests of several photosceneries (payware and freeware) with autogen made by the same developer or other independent developers (like openVFR and nuvecta). Regardless of the source (paid add-ons/freeware), there were always gaps in coverage and the alignment of buildings was poor. The buildings stood somewhere close to the real ones, but the slight differences in location, shape, and rotation spoiled the effect. In the Netherlands, I observed no such flaws. Which makes me wonder – how did they place all the buildings with such accuracy that they seem hand placed. Custom objects in the scenery need to be important for the pilot. While in the description of Norway I paid attention to wooden churches. After years of use, I have to admit I was wrong – they make no difference to me as a user. Therefore, from hundreds (thousands?) of objects in TrueEarth Netherlands, I will describe only the ones that were memorable in the practical use of the scenery. Powerlines with wires! They made the first and lasting impression. 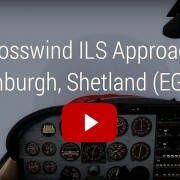 Something I missed in P3D, and what DCS made me used to. And they got if from the start – the cables between the poles have the correct thickness (unlike early thick powerlines in DCS). If you fly helicopters – pay attention to them. I often fly with a VFR map that marks them – on some routes a power line can be a good guide. Shipping. The Netherlands is a country of ports and canals, so without ships and barges, it would not be the same. In addition, we find an extensive port infrastructure – make sure to check Rotterdam‘s Europort. It kills performance on typical equipment, but it is very impressive. I will make one exception. Windmills – can there be something more Dutch? (ok, maybe tulip fields came to your mind – you will find them in the scenery too, but they will be flat). Totally unimportant for navigation and I had to look for them to find some. But they were so nice that I would regret not mentioning them. There are lots of windmills and they seem made in a higher resolution (model) than typical scenery objects. 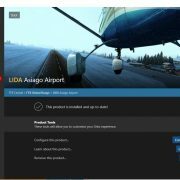 As if the developer encourages us to land nearby. So maybe they will be useful for you in the sim? Take a helicopter and do a tour. Unfortunately – ORBX provided no map or Google Earth file. Five-meter mesh resolution throughout the whole country? 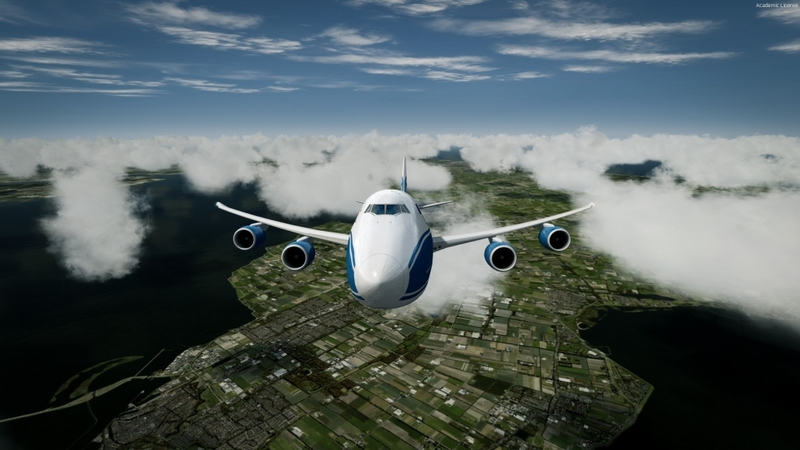 When flying at a low altitude, this is something you will pay attention to. Holland may be flat, but it is also a country of dikes and canals. To show them, the developer needed something special. With a resolution of 5 m, I can notice even a narrow path over the polder. Cool! I think my biggest problem with the Netherlands is that … I have nowhere to fly. 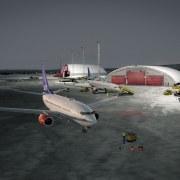 Obviously, enhanced airports help, and ORBX added more than a dozen new, which P3D default scenery omitted, but… There is a considerable discrepancy between the phenomenal photoscenery of the country, which I enjoy for the beautiful views, and the airports from which I take off – improved or enhanced may they be, but they are far from what I am used to flying VFR with payware sceneries. Far from ORBX made me used to. While other developers made several airports for the Netherlands – I miss places suitable for general aviation aircraft. 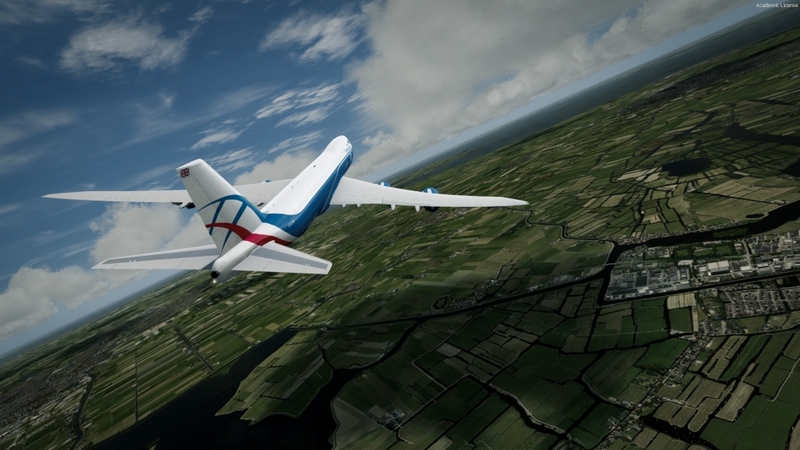 If you fly small planes above all other – ORBX‘s Great Britain South, with a rich collection of airports provided by the same developer, can be a much more interesting choice. 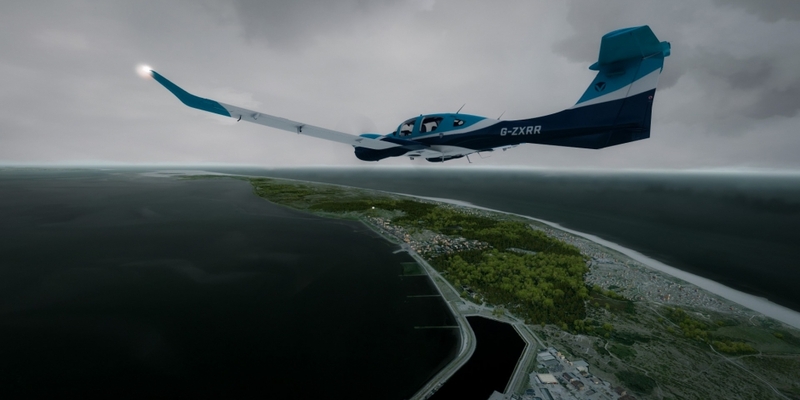 TrueEarth Netherlands is the best area-scenery I have encountered in P3D. It’s just as groundbreaking as FTX Australia was a few years ago. From now on I will compare other sceneries to TrueEarth Netherlands – an effect that other developers of photosceneries never came close to. Why then five stars and not six? 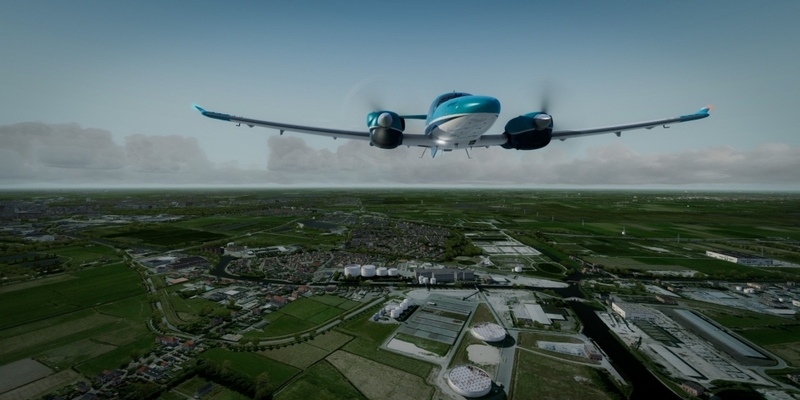 I have the impression that ORBX chose the Netherlands as a test product to check their extraordinary new solutions. It’s nice, but the cost (in performance and disk space) is too high to make it a 6-star product. When considering it, make sure you have the proper equipment. My recommendation goes to the people with strong PCs (a superb processor + a quality GPU).